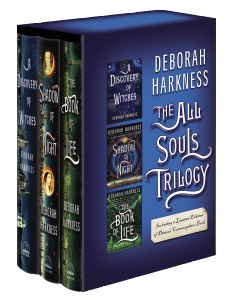 The All Souls Trilogy by Deborah Harkness follows the extraordinary transformation of historian Diana Bishop, into a powerful witch, who joins with Matthew Clairmont, a mysterious vampire, to find an ancient lost manuscript called Ashmole 782, which is believed to hold the secrets of creatures and magical powers. 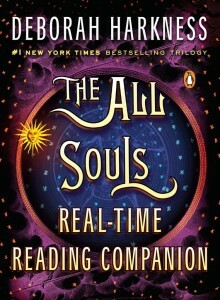 With millions of copies sold around the world, the novels of the All Souls trilogy have landed on the New York Times bestseller list, won several awards, and spellbound legions of loyal fans. Badwolf is adapting the trilogy for television to the delight of the fan base. Season 1 premiers September 14 on Sky One in the UK. In the US, it will be available in early 2019on streaming platforms, Sundance Nowand Shudder. The audiobooks are award-winning. 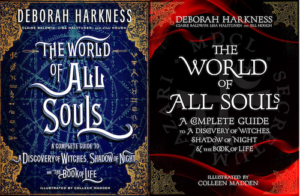 Listen to the three clips below to hear how the narrator, Jennifer Ikeda, brings the series to life, casting yet another spell on the fans. 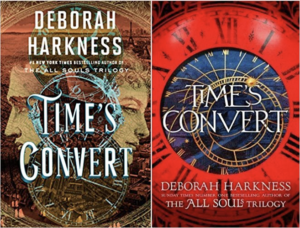 A free ebook download, it includes real-time reading calendars for A Discovery of Witches and Shadow of Night, plus the real-time reading companion notes for A Discovery of Witches and Shadow of Night, and an interview with Deborah Harkness. 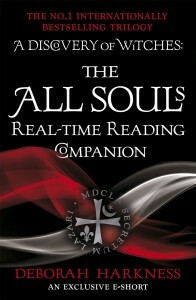 The World Of All Souls expands on the content of the free Real-time Reading Companion. It is a resource for longtime fans and newcomers alike packed with character bios, maps, recipes, the science behind creatures, magic, and alchemy—all with stunning artwork. 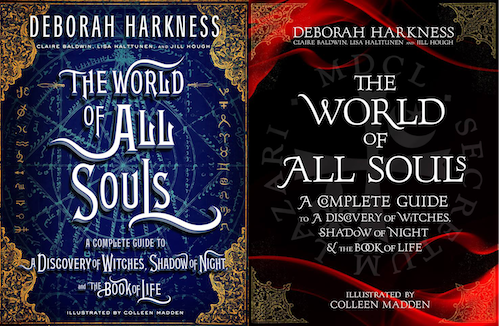 The World Of All Souls is authored by Deborah Harkness, Claire Baldwin, Lisa Halttunen, and Jill Hough, with illustrations by Colleen Madden. The insider’s guide is published by Viking in the US, and by Headline in the UK. Set in contemporary France and London, and the American colonies during the Revolutionary War, the story weaves past and present. On the battlefields of the American Revolution, Matthew de Clermont meets Marcus MacNeil, aka Marcus Whitmore, while in contemporary London, Phoebe Taylor, Marcus’s fiancée and former employee at Sotheby’s, becomes a vampire. In the meanwhile, bright born twins Rebecca and Philip grow under the watchful eye of Diana and Matthew and the members of the Bishop-Clairmont scion. 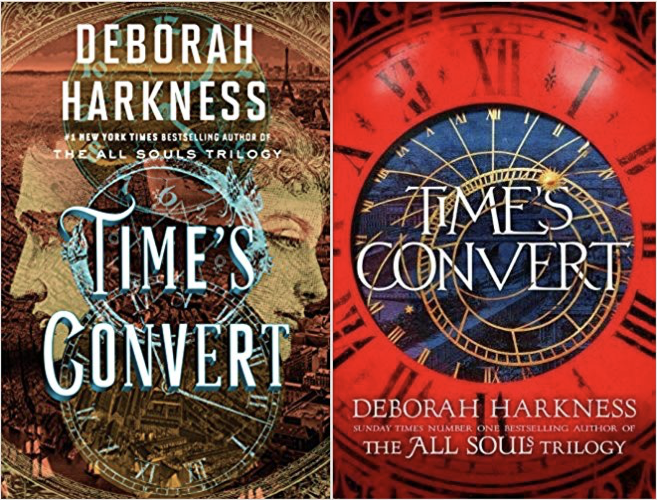 Time’s Convert is available for pre-order and goes on sale on September 18 in the US and the UK.